Country music superstar Carrie Underwood and her family have brought home a new puppy! Meet him here! 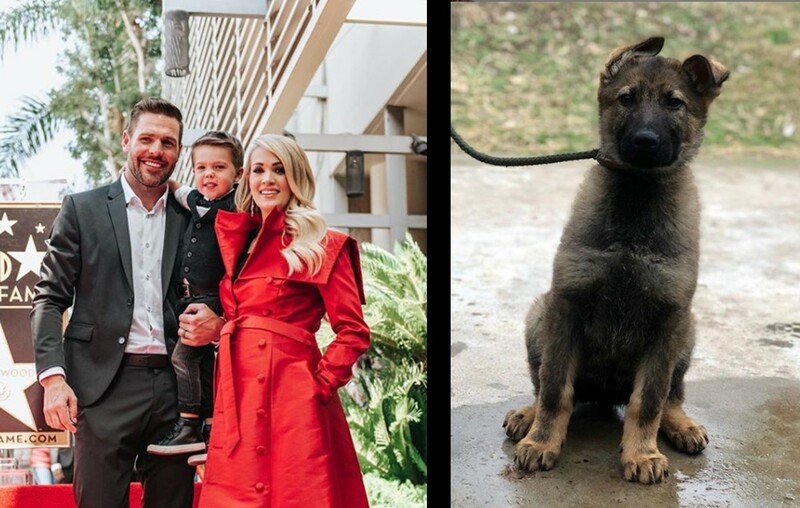 Shortly before adding a new baby boy to the family, Carrie Underwood‘s household has added a cute German Shepard puppy! Mike Fisher shared the family’s latest addition via Instagram! “Meet the newest member of our family! Isaiah affectionately named him Zero. I guess it fits because it’s the chance of surviving if you try to break into our home,” the retired NHL captioned the photo of the pup. Zero won’t be the newest member of the Underwood-Fisher household for long. Carrie is due this month! Congrats to this growing family! 2019 will be a BIG year personally and professionally for the country music star! The Cry Pretty Tour 360 with special guests Maddie & Tae and Runaway June kicks off in May! Share this news with other Carrie Underwood fans!